Located in the Central Visayas, Negros Oriental is an underrated tourist destination teeming with rich history and picturesque land- and seascapes. For some, this province is just a gateway to its neighboring provinces, the mystical island of Siquijor off its southwest; and the more popular tourist destination, Cebu. For history buffs and foodies, it is all about the old churches, the iconic Siliman University, fried ice cream, and sanzrival. For divers, Negros Oriental is famous for the world-class dive sites of Apo Island. 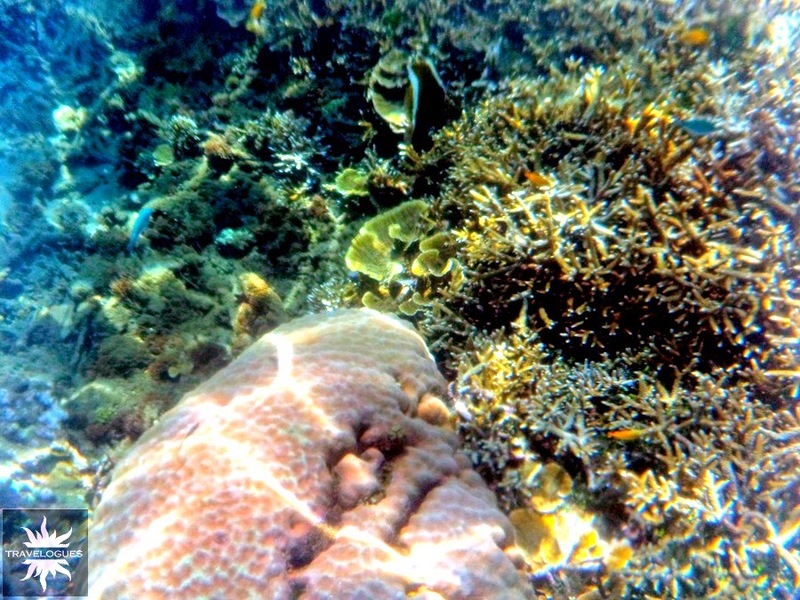 But for those like us who just want to have a dip into clearwaters and see spectacular marine life, Negros Oriental is all about Dauin -- a coastal town fringed with marine sanctuaries perfect for snorkeling and beginner underwater photography. From Manila, take a one-hour flight to Dumaguete City. At the airport, walk towards the main highway and ride a tricycle to either Quezon Park or Ceres bus terminal. Tricycle fare costs Php 20 per person at a minimum. However, if you ride a tricycle right outside the departure area, be prepared to pay higher tourist rates at Php 100-150 per way; You can also ride a multicab to the bus terminal at Php 9. Or, from Lilo-an (southern Cebu), take a ferry to Sibulan pier. From the port, ride a tricycle to Quezon Park or Ceres bus terminal in Dumaguete City. From Quezon Park (this park is the one infront of the church and the belfry), take a multicab bound for Bayawan (Php 18); or from Ceres bus terminal, ride an airconditioned bus to Bayawan (Php 50). Alight at the Dauin public market. Travel time is around 45 minutes to one hour. From here, walk towards Romana Alar Beach Resort. Locals know this as simply "Alar." Make sure to buy food along the way. We found a bakery that sells delectable, no-frills breads at Php 5 each! Dauin Marine Sanctuary is right infront of Romana Alar Beach Resort. It is a quaint beachfront property that offers native open-air huts and beachside tables perfect for family and barkada getaways. In fact, right after we settled at a table, we began seeing groups arriving one after another. They don't serve food but they have cold sodas and liquors available. Entrance fee is Php 10 per person, but the caretaker said if we get a table at Php 125, entrance and bathroom fee (yes, there is such a thing like "bathroom fee" here, Php 10) is waived. Without batting an eyelash, we took the offer and split it among the three of us. If you're not too picky, you may eat at or take out food from the carinderias (local eateries) at Dauin Public Market. Otherwise, make sure to pass by your trusted fast food chains such as Jollibee, Chowking, and Dunkin Donuts in Dumaguete City before boarding the bus or multicab. If you're up for light snacks, there's a small bakery at the market, too. They offer chips and booze as well. If you're lucky enough, you might come across the lady selling native torta and bibingka along the beach. These are delectable local snacks that are affordable at Php 20 per pack of four. And now, for the main attraction, let's go under the sea! Dauin Marine Sanctuary starts a few feet from the shore and remains fairly shallow for about 40-50 metres before it slopes down into the deep. It is best to start snorkeling in the mid-morning until after lunch, as the water gets shallower towards the afternoon. To see more photos, please like Travelogues by Matet Garcia-Reyes on FB. Without a doubt, this snorkeling side trip is the cheapest yet worthiest I've ever had!